Wendy Jodel is a top sales broker with a direct and honest approach. Her unstoppable energy, integrity and love for New York City fuel her proven success in serving buyers and sellers in the intricate Manhattan real estate market. A native New Yorker, Wendy is perfectly suited to help people make one of the biggest decisions in their lives. She believes in selling a lifestyle rather than just a home - one that reflects how and where you want to live. With more than 25 years of sales and customer service expertise, Wendy truly enjoys working with people and finding their perfect home. Her efficiency and ability to close deals earned her recognition in her field as a Top 25 Sales Agent who achieved multi-million-dollar status every year. 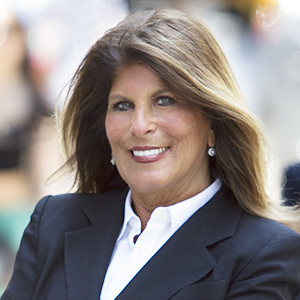 Prior to her career in real estate working at the most prestigious Manhattan brokerage firms, Wendy was honored with the distinction of being a three-time winner of the National Salesperson of the Year Award for a New York City-based sportswear company She was also a four-time "top producer" at a New York and California-based career recruitment firm, where her responsibilities included marketing, sales and account management as well as developing and maintaining close client relationships. "In real estate, as in any sales business, customer service is top priority. So is knowledge of your product and being a great listener, which are paramount to delivering the best results." Wendy's goal is to always be the best broker possible, and to continue helping others enjoy the incomparable Manhattan lifestyle.